levitz wrote: Were these supposed to come individually in a brown cardboard outer/mailer box? Im assuming they come in big brown boxes. And retailers dont care that much what you might get. If you are buying from someone you dont trust, I suggest you buy only from Rotofugi. best store around. devito1195 wrote: Thanks Reks36 & FERG! really dig your display cases in the background. Can you tell me where you got them? Or what they are called so i can look them up? Thanks! Not having the chase in this release is really going to bum me out. I was hoping a few would pop up for sale online somewhere, but so far nothing. I right there with ya. Just bought a bunch of boxes last night in hopes of getting a chase... we'll see if i'm lucky enough to score some GID unluckiness. Wow - good luck, I hope you luck out with your search! got my kitty package today..... CHASE!!!! 666ways2love wrote: got my kitty package today..... CHASE!!!! I only got the regular, but i also managed to pick up an OG white and red and a black and red off the forum which all arrived within a couple of days of each other. So still pretty chuffed!! Congrats! Another boardie scoring a chase! Comixguru check your pm. Took me a while to find the site. devito1195 wrote: Congrats! Another boardie scoring a chase! Is there a secret I should know about? Hey DL - if you are referring to my post - no big secret. Guru just wanted to know where I got my display cases from. 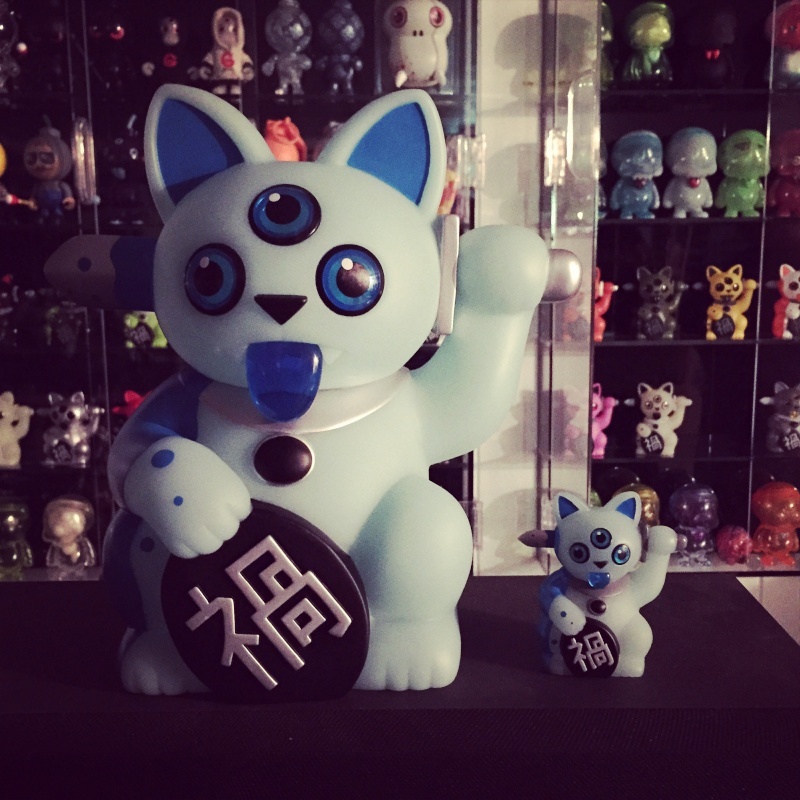 Does anyone know the edition size of the black and blue misfortune cats? comixguru wrote: Finally scored a GID! Awesome! I am still in search of one, but I'll have to get lucky and find someone who is selling a GID. I can't go the route of buying more than 1 in hopes of turning up a chase. Glad you got one though! Congrats to all y'all that got that GID! The regular is tight, but that chase is supa-tight!